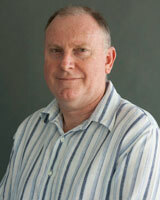 Brent joined the Institute for Sustainable Futures in 2012 as a Research Director in the NR&E cluster. Brent’s background is in agricultural science with broad experience in agricultural systems and eco-physiology of crops and pastures gained through teaching and research conducted at universities in Australia and overseas. Brent joined the NSW Public Service in 2001 and worked in the areas of natural resource management, structural adjustment and development of assistance packages to accompany natural resource reforms. More recently, Brent was theme leader for the state-wide monitoring, evaluation and reporting of the adaptive capacity of natural resource managers in NSW. He also contributed to collaborative projects with ABARES, ANU and CSIRO on spatial optimisation and provision of socioeconomic data to support CMA investment decisions. Brent’s current research interests include resilience, vulnerability and adaptive capacity of communities in the development of catchment action plans, and he leads the Adaptive Communities Node of the NSW Climate Adaptation Research Hub. © 2018 Elsevier B.V. Phosphorus is an essential part of the world food web and a non-substitutable nutrient in all biological systems. Losses of phosphorus occur along the food-supply chain and cause environmental degradation and eutrophication. A key global challenge is to meet rising worldwide food demand while protecting water and environmental quality, and seeking to manage uncertainty around potential future phosphorus price or supply shocks. This paper presents a stakeholder-generated conceptual model of potential transformative change for implementing phosphorus sustainability on the island of Ireland via an 'All-Island Phosphorus Sustainability' workshop. Key transition pathways identified by stakeholders included: incentivising phosphorus recovery, developing collaborative networks to facilitate change, developing markets and value chains for recovered products; implementing data-informed practices on-farm to prevent losses and increase efficiencies, and harmonisation of technologies with end-user needs. A comparable model was previously produced for the North American region. We describe consensus and differences around key priorities between the two regions' conceptual models, and assess how the model produced for the island of Ireland can effect system-wide change and policy moving forward. Many of the transitional pathways and future aspirations presented in both models resonate globally and are highly pertinent to other jurisdictions. There is growing concern in Sri Lanka over the impact of climate change, variability and extreme weather events on food production, food security and livelihoods. The link between climate change and food security has been mostly explored in relation to impacts on crop production or food availability aspects of food security, with little focus on other key dimensions, namely food access and food utilization. This review, based on available literature, adopted a food system approach to gain a wider perspective on food security issues in Sri Lanka. It points to several climate-induced issues posing challenges for food security. These issues include declining agriculture productivity, food loss along supply chains, low livelihood resilience of the rural poor and prevalence of high levels of undernourishment and child malnutrition. Our review suggests that achieving food security necessitates action beyond building climate resilient food production systems to a holistic approach that is able to ensure climate resilience of the entire food system while addressing nutritional concerns arising from impacts of climate change. Therefore, there is a pressing need to work towards a climate-smart agriculture system that will address all dimensions of food security. With the exception of productivity of a few crop species, our review demonstrates the dearth of research into climate change impacts on Sri Lanka's food system. Further research is required to understand how changes in climate may affect other components of the food system including productivity of a wider range of food crops, livestock and fisheries, and shed light on the causal pathways of climate-induced nutritional insecurity. © 2018 Elsevier Ltd Government seeks to manage public protected areas, such as national parks, to conserve high-quality wildlife habitats and provide essential ecosystems services at risk of permanent damage or extinction from climate change. The complexity of the organizational structure required to deliver this breadth of functions, coupled to uncertainty surrounding the onset and severity of climate impacts at local scale, impedes planning for climate change. This paper describes the development of an adaptation planning tool and its application in a pilot planning process for the National Parks and Wildlife Service, the agency of the New South Wales (NSW) Government (Australia) responsible for management of national parks and public conservation reserves. The process involved close engagement in knowledge co-production in participatory workshops, and employed two complementary techniques, adaptive pathways and risk assessment. It successfully elicited tacit knowledge of agency staff about the range of interventions available, the need for management practices to evolve, and of discontinuities in management pathways in a dynamic risk environment. Findings suggest that management effort across the NSW reserve system will increase as climate risk rises. Consequently, government will need to respond to increased demand for resources, for better targeting of those resources, and for management innovation in how resources are deployed to support adaptation that is both anticipatory and transformative. Natural resources directly support rural livelihoods and underpin much of the wealth of rural and regional Australia. Climate change manifesting as increasing frequency and or severity of extreme weather events poses a threat to sustainable management of natural resources because the recurrence of events may exceed the resilience of natural systems or the coping capacity of social systems. We report the findings of a series of participatory workshops with communities in eight discrete landscapes in South East New South Wales, Australia. The workshops focused on how natural resource management (NRM) is considered in the Prevent-Prepare-Respond-Recover emergency management cycle. We found that NRM is generally considered only in relation to the protection of life and property and not for the intrinsic value of ecosystem services that support communities. We make three recommendations to improve NRM under extreme climate events. Firstly, the support to communities offered by emergency management agencies could be bolstered by guidance material co-produced with government NR agencies. Secondly, financial assistance from government should specifically target the restoration and maintenance of green infrastructure to avoid loss of social-ecological resilience. Thirdly, action by natural resource dependent communities should be encouraged and supported to better protect ecosystem services in preparation for future extreme events. There has been a growing recognition regarding the use of social networks to engage communities in government actions. However, despite increasing awareness of social networks, there is very limited evidence for their application in relation to climate policy. This study fills this gap by assessing the potential of social networks for engaging local communities in climate adaptation policy, drawing on a case study of the Shoalhaven region in Australia. Participants from key representative groups were recruited using a purposive snowball sampling technique (N . 24). By mapping knowledge acquisition and diffusion networks in relation to climate adaption at the local scale, this study identified key nodes within the networks. Findings demonstrate that although climate adaptation information was acquired from a diverse range of sources, the sharing knowledge networks were far more dispersed. Furthermore, although 165 knowledge sources were identified, three nodes had coverage cross the entire network, and as such acted as boundary spanners within the sharing network. This research demonstrates the utility of social network analysis to reveal the underlying knowledge networks and structures that influence community engagement pathways and in doing so outlines key implications in relation to engaging local communities in climate policy and action. Legacy phosphorus (P) that has accumulated in soils from past inputs of fertilizers and manures is a large secondary global source of P that could substitute manufactured fertilizers, help preserve critical reserves of finite phosphate rock to ensure future food and bioenergy supply, and gradually improve water quality. We explore the issues and management options to better utilize legacy soil P and conclude that it represents a valuable and largely accessible P resource. The future value and period over which legacy soil P can be accessed depends on the amount present and its distribution, its availability to crops and rates of drawdown determined by the cropping system. Full exploitation of legacy P requires a transition to a more holistic system approach to nutrient management based on technological advances in precision farming, plant breeding and microbial engineering together with a greater reliance on recovered and recycled P. We propose the term 'agro-engineering' to encompass this integrated approach. Smaller targeted applications of fertilizer P may still be needed to optimize crop yields where legacy soil P cannot fully meet crop demands. Farm profitability margins, the need to recycle animal manures and the extent of local eutrophication problems will dictate when, where and how quickly legacy P is best exploited. Based on our analysis, we outline the stages and drivers in a transition to the full utilization of legacy soil P as part of more sustainable regional and global nutrient management. Abstract. Despite native grasses occupying a large area of land in Australia, there has been limited work on the responses of these species to the addition of phosphorus (P). The main objective of this study was to investigate the effect of the addition of P to create a range of P contents in the soil on the productivity and morphology of two native grasses at two times of harvests. Two contrasting perennial native grasses, namely kangaroo grass (Themeda triandra Forssk. syn. T. australis R. Br. Stapf) and weeping grass [Microlaena stipoides var. stipoides (Labill.) R. Br.] were grown in a glasshouse with the addition of P to create five contents of P in the soil (7, 17, 32, 107 and 307 mg kg1 soil) using a completely randomised design with four replicates per treatment. Grasses were harvested to 5 cm above the substrate surface, and the number of tillers and leaf area were recorded on Day 84 (harvest 1) and Day 112 (harvest 2) of the experiment. Dry matter production for kangaroo and weeping grass increased with P contents of the soil of 32 mg and 107 mg P kg1 soil, respectively. Increased dry matter production for both species was the result of increased leaf area, tiller number and root growth. These results provide data that help to understand the disappearance sequence of kangaroo grass from more fertile soils and an increase in weeping grass, particularly in soils with greater fertility. Further research is required to determine if these results hold for other grass ecotypes. A program to monitor the capacity for improved natural resource management (NRM) of land managers was implemented under a state-scale monitoring, evaluation and reporting (MER) strategy. We demonstrate detection of change in natural resource (NR) manager capacity by reassessing two groups of landholders at different locations in New South Wales (NSW), Australia that had previously participated in a baseline assessment of capacity for state-wide MER purposes. NR manager capacity in NSW over three years responded to the external influences of the end of a long-term drought, to changes in institutional arrangements that altered the way NRM funding was distributed to regions by the Australian Government and to local investment in capacity building. Natural resource (NR) outcomes at catchment scale rely heavily on the adoption of sustainable practices by private NR managers because they control the bulk of the NR assets. Public funds are invested in capacity building of private landholders to encourage adoption of more sustainable natural resource management (NRM) practices. However, prioritisation of NRM funding programmes has often been top-down with limited understanding of the multiple dimensions of landholder capacity leading to a failure to address the underlying capacity constraints of local communities. We argue that well-designed participatory monitoring and evaluation of landholder capacity can provide a mechanism to codify the tacit knowledge of landholders about the social-ecological systems in which they are embedded. This process enables tacit knowledge to be used by regional NRM bodies and government agencies to guide NRM investment in the Australian state of New South Wales. This paper details the collective actions to remove constraints to improved NRM that were identified by discrete groups of landholders through this process. The actions spanned geographical and temporal scales, and responsibility for them ranged across levels of governance. We describe the development of a low cost, repeatable self-assessment process enabling community-based natural resource management (CBNRM) groups to set priorities for building their capacity to adopt sustainable farming practices and adapt to global change. Regional measures of adaptive capacity derived from rural livelihoods analysis were populated with secondary data and used to communicate the multiple dimensions of adaptive capacity to groups of landowners. This conceptual framework was then used to derive locally relevant measures of adaptive capacity via focus groups drawn from pre-existing networks of land managers. The key issue discussed at the workshop was what constrained or enabled private land managers to effectively manage natural resources. This self-assessment process was designed to support dialogue between CBNRM groups, industry and governments to prioritise collective action for building adaptive capacity. The approach was piloted with CBNRM groups across New South Wales, Australia. © 2010 Elsevier Ltd. Acid tolerance of Austrodanthonia accessions was evaluated in two experiments. In the first, seeds of the 183 Austrodanthonia accessions from 15 species, two Austrodanthonia cultivars (Taranna and Bunderra) and three exotic grasses, were sown in pots containing a sandy loam soil at pHCa3.9, 4.4 and 5.3. Seedling emergence and survival were recorded at 44 and 170 Days After Sowing (DAS) and Dry Weight (DW) at 186 DAS. In the second experiment, seedlings of 20 of the Austrodanthonia accessions and cvs used in experiment 1 were planted into a brown chromosol/brown kurosol soil located near Carcoar, New South Wales (33°37S, 149°13E, elevation 820 m), into areas with natural pHCavalues of 4.3 or 4.9. Plant growth was monitored over 16 months. Half the planting area was pre-sprayed with glyphosate to kill the resident pasture. In experiment 1, the lowest pHCavalue (3.9) severely decreased emergence, survival and DW. In experiment 2, the pHCavalue of 4.3 decreased survival and DW and there was an interaction with the herbicide pre-treatment. In both experiments, there were large differences between accessions in growth potential and acid tolerance. Relative acid tolerance rankings of accessions/cvs were similar in each experiment and DW seemed to be the most reliable index of acid tolerance. The diversity of acid tolerance and growth potential in Austrodanthonia may be useful in studying the genetics of Al tolerance and in plant breeding and selection. © 2007 Academic Journals Inc.
Salt tolerances of 3 cultivars, Menemen puccinellia (Puccinellia ciliata Bor), Tyrrell and Dundas [tall wheatgrass, Thinopyrum ponticum (Podp.) Z. W. Liu and R. R. C. Wang], were compared with respect to their seed germination, adaptive responses to salt and waterlogging, seedling emergence, plant growth, shoot osmolality and mineral contents in a series of salt-stress experiments. An inverse normal distribution provided good fits for the time to seed germination. Under NaCl stress, 50% of the control (distilled water) seed germination rates of Menemen, Tyrrell and Dundas were achieved in 178.8, 300.9 and 296.8 mmol/L NaCl, respectively. Fifty percent of the control seedling emergence rates of these 3 cultivars were in 92.7, 107.2 and 113.5 mmol/L NaCl, respectively. The seed germination rates of these 3 cultivars under both salt and waterlogging stress were far lower than those germinated only under salt stress at the same salt level. Seed pretreatment by soaking seed in NaCl solutions greatly increased the seed germination rate under salt stress for Menemen and under both salt stress and waterlogging for Dundas. Tyrrell and Dundas were very similar in their tolerance to salt stress, and were significantly (P<0.05) more salt tolerant than Menemen in terms of seed germination and seedling emergence rate. Both shoot height and dry matter of these 3 cultivars were not statistically different among all salt stress levels during the seedling elongation period, indicating that the established plants of these 3 cultivars were very salt tolerant. The salt tolerance mechanisms of these 3 cultivars are possibly related to their abilities to maintain high osmolality in shoots by regulating high sodium and potassium contents, and reducing calcium deficiency under salt stress. © CSIRO 2005. This paper reviews current methods for fitting a range of models to censored seed germination data and recommends adoption of a probability-based model for the time to germination. It shows that, provided the probability of a seed eventually germinating is not on the boundary, maximum likelihood estimates, their standard errors and the resultant deviances are identical whether only those seeds which have germinated are used or all seeds (including seeds ungerminated at the end of the experiment). The paper recommends analysis of deviance when exploring whether replicate data are consistent with a hypothesis that the underlying distributions are identical, and when assessing whether data from different treatments have underlying distributions with common parameters. The inverse normal distribution, otherwise known as the inverse Gaussian distribution, is discussed, as a natural distribution for the time to germination (including a parameter to measure the lag time to germination). The paper explores some of the properties of this distribution, evaluates the standard errors of the maximum likelihood estimates of the parameters and suggests an accurate approximation to the cumulative distribution function and the median time to germination. Additional material is on the web, at http://www.agric.usyd.edu.au/staff/oneill/. Liming is an effective method of correcting soil acidity, but the cost and other factors, such as sub-soil acidity, topography, and nutrient availability may limit its benefits. An alternative option is to grow acid tolerant plants. Pot experiments are an effective way of identifying plants with the genetic potential to grow in acidic soils. These experiments require a range of acidity levels. The soil used in this study was a sandy loam. Increments of aluminum sulfate [Al2(SO4)3.18H2O and calcium carbonate (CaCO3) were added to derive dose-pH response relationships. The derived relationships were used to estimate the quantity of aluminum sulfate and lime required to change the pHCa (l:5, w:v, soil:10mM CaCl2) of the soil from 4.4 to 3.89 and 4.4 to 5.2, respectively. The estimated quantities of aluminum sulfate (380g) and calcium carbonate (48g) were thoroughly mixed through 100kg batches of the soil, which was potted (2 kg/pot). Then the acidified soils were leached to remove excess salts. The initial pHCa achieved was 3.86 and rose to 3.94 after leaching. A wide range of soluble aluminum (Al) concentrations (1:5, w:v, soil:10mM CaC12) was obtained from this study, e.g., 52mg Al/kg soil in acidified soil and 1.8mg Al/kg soil in limed soil. The variation in pH and EC between replicate pots was negligible (range 0.05pH and 0.02dS/m) and these remained relatively unchanged after six months. During the next six months some pots were held in the laboratory with 3 wetting/drying cycles; however, most were placed outdoors where they were sown with seed of Austrodanthonia spp. During this time, the pHCa of the acidified soils increased slightly to: 4.10 (laboratory), 4.18 (outdoors without plants), and 4.20 (outdoors with plants). A similar increasing trend was also observed in limed soils. It was concluded that adding aluminum sulfate and calcium carbonate followed by washing with water are quick and convenient methods for adjusting soil pH for pot experiments. O'Donoghue, R, Jacobs, B, Milham, P & Havilah, E 2000, 'Phosphorus supply influences carbohydrates in dairy pasture species', Asian-Australasian Journal of Animal Sciences, vol. 13, no. SUPPL. A, p. 263. The effects of duration of cold, varying from 1 to 15 days, at 15/10 °C day/night temperature, were examined at floral initiation and booting in three cultivars of rice which differed in sensitivity to cold. Cold durations of greater than 1 day reduced spikelet number (up to 41%), spikelet fertility (up to 90%), inflorescence branch number (up to 43 %) and total length of branches (up to 34 %) relative to controls. Cold reduced spikelet number more than fertility at floral initiation, whereas cold reduced fertility more at booting. Some processes of growth - inflorescence branching, spikelet development, and dry matter accumulation were - directly and irreversibly damaged by cold. On the other hand, apex elongation showed thermal retardation (defined as a reduction in growth rate during the period of cold, only to the extent predicted from reduced thermal time) but recovered after cold was relieved. The sensitivity of a particular physiological process to cold may be related to the ability of the rate of that process to recover from cold stress and the opportunity (after cold stress is removed) for the completion of growth before the end of a development phase. Chaharsoghi, AT & Jacobs, B 1998, 'Manipulating dormancy of capeweed (Arctotheca calendula L.) seed', Seed Science Research, vol. 8, no. 2, pp. 139-146. Capeweed (Arctotheca calendula) seeds were found to be dormant at harvest. Effects of duration and temperature of storage under 'laboratory' and 'natural' conditions, growth regulators, stratification and age of seeds, were studied on the germination of dormant seeds. Three factors imposed on seeds were found to promote germination of capeweed: (i) allowing seed to age, either in storage, buried in soil or during stratification (germination of 18-month-old seeds was up to 60% higher than that of fresh seeds); (ii) the presence of light (the average germination percentage of seeds exposed to light during storage was 3.2-fold greater than that of seed stored in the dark); and (iii) the application of growth regulators, particularly gibberellic acid, enhanced by scarification (GA3and ethephon promoted germination by up to 58% when applied to scarified seeds). Other factors, e.g. temperature and depth of storage, influenced germination but were less critical to its success. These results provide a preliminary assessment of the importance of these factors in controlling dormancy in seeds of capeweed. An experiment was carried out under irrigation in the field to determine the influence of plant population density (7.5, 15, 30 and 60 plants/m2) on growth, development and yield of the pasture legume Lotus uliginosus cv. Sharnae. Reproductive development (flowering, pod set and stages of pod development) was recorded from 79 days after establishment and harvests were taken on 3 occasions during pod development: 118, 138 and 158 days after establishment. At each harvest, plants were divided into leaf, stem and pods. The pods were further separated into maturity classes on the basis of colour, and seed number and weight measured for each class. Harvesting late (i.e. 158 days after establishment) maximised seed yield (113 g/m2) and seed quality (27% immature, green pods). Seed yield per unit area up to 158 days after establishment was relatively insensitive to plant population up to 60 plants/m2 because the response of individual plants of lotus was highly plastic. At 158 days after establishment, dry matter per plant declined from 985 g at 7.5 plants/m2 to 713 g at 60 plants/m2. At the same time, seed number per plant and seed weight per plant were reduced from 27 400 to 3230 seeds and from 15.5 to 1.65 g, respectively, across the range of population densities. Despite the lack of a clear optimum plant population for maximum seed yield, some aspects of seed quality declined at high population density. For example, single seed weight fell by about 10% from 0.563 mg and the proportion of the harvest contributed by seeds from immature pods rose from 18 to 33%, as population density increased from 7.5 and 60 plants/m2. Seed quality and ease of management, rather than yield, may be the most important considerations when seed growers choose a sowing rate for a L. pedunculatus cv. Sharnae seed crop. Loss of yield in rice owing to exposure to suboptimal (<20°C) temperatures is a widespread phenomenon; in Australia there is circumstantial evidence that cold damage is substantial and that it can occur at any time during the growing season. Damage may take the form of reduced potential yield, abnormal spikelet development, and reduced spikelet fertility. In extreme cases plants may be completely infertile. We are using a conceptual model based on the daily cycle of temperature to quantify a cooling index and the impact of cold. The daily impact of cold varies with the phenology of the crop (i.e. some stages of development are particularly cold-sensitive), and the total or cumulative impact depends on the summation of thermal time below a critical minimum temperature for cold damage. We are in the process of quantifying the variables of the model for 2 cultivars of rice. This aims at prediction of yield loss in response to seasonal variation in temperature, and identifying the likely benefit which will arise from using particular parent lines in later breeding for cold tolerance. © 1994 CSIRO. All rights reserved. Accumulation and partitioning of dry matter and N were examined in two traditional and two improved cultivars of taro for a 30-day period under four levels of N ranging from 0 to 32 mM N in sand culture. Raising the supply of N increased the number of leaves, the surface area of leaf and root, and the dry weight of leaf, root and petiole but not the corm. Cultivars differed mainly in dry weight and surface area of roots. Dry weight of the whole plant increased because the area of leaf increased, and the efficiency of leaves (net assimilation rate) improved under high levels of applied N. The concentration and content of N in the whole plant increased with the level of applied N, and there was a 12-fold increase in average rates of accumulation of N over the treatments. Concentration, content and uptake of N were not significantly influenced by cultivar. However, significant differences in the accumulation of N, expressed on the basis of root surface area, suggested there may be differences between cultivars in the efficiency of N uptake. Increasing the supply of N changed the partitioning of dry matter and N between parts of the plant in favour of above-ground components (leaf and petiole). The results suggest that N availability in the soil is one of the determinants of biomass production in taro and that management of N nutrition for corm production may need to take account of changes in partitioning of dry matter and N that occur under varying supplies of N. © 1992. The growth and development of the main stem and the two uppermost axillary apices of maize were studied during the period from emergence until flowering. Plants were grown in the field under varying levels of applied nitrogen fertilizer at two times of sowing. The effects of daylength were isolated from those of temperature by making comparisons of growth and development on a thermal time basis.The growth and development of the terminal (male) apex and the two uppermost axillary (female) apices followed the same patterns, with apex volumes increasing curvilinearly with increase in number of leaf or husk primordia. The RGR(relative growth rate of volume) of the terminal apex was, however, only approximately one-tenth of the axillary apices. There was no difference in growth and development between the first and second axillary apices before flowering: Other factors, such as accumulation of dry weight, rather than primordia production, must be responsible for an axillary apex's potential to bear grain. Applied N, and to a lesser extent short days, increased the rates of growth and development of all the apices. For example, applied N increased the RGR (volume) of the apical domes, and the rate of production of spikelet primordia, by about 25%.All axillary apices and treatments showed a single relationship between number of spikelets and surface area of the ear: a favourable environment (e.g. high N) simply accelerated the progression of spikelet production and area expansion along this single path. We conclude that this path is probably determined genetically and that N and time of sowing influence potential yield of maize through effects on the surface area of the ear but not on the density of spikelets formed. © 1992 Oxford University Press. The accumulation and partitioning of dry matter and nitrogen were examined in the developing tassel and two uppermost ear shoots of field-grown maize under varying levels of applied nitrogen and times of sowing.Accumulation of dry matter and nitrogen within an axillary branch always favoured the ear over the husk and shank. Dry matter and nitrogen accumulated faster in the first ear than in the tassel or second ear and the partitioning between inflorescences of dry matter and nitrogen was not affected by treatment. The relative rate of growth, RGR(dry matter), of the first and second ear shoots increased by up to 42% at high levels of applied nitrogen and with early sowing. In contrast, the relative rate of accumulation of nitrogen (RNAR) was not sensitive to N supply, although it was reduced, on average, by 22% at the late time of sowing.We conclude that accumulation, but not partitioning, of dry matter and nitrogen between developing inflorescences of maize are altered by nitrogen application, time of sowing, and position of the inflorescence on the stem. © 1992 Oxford University Press. Zea mays L. hybrids which differed in their expression of prolificacy were grown in field experiments and subjected to treatments which altered the amounts of nitrogen and solar radiation available to each plant. Detailed measurements were made of growth of the tassel and ears to determine the mechanisms through which plants adjusted their grain-yield to the environment. In preliminary field experiments, increases in plant population from 5 to 20 m-1 caused increased asynchronous flowering and reduced grain-yield per plant (but not per ha), due mainly to a 47% decrease in kernel number per plant. In the main field experiment, grain-yield of XL 80 (semi-prolific) and XL 81 (single-eared) were reduced by nitrogen deficiency and defoliation by 65 and 40% respectively, relative to controls. Yield per plant was reduced through (a) 1.3-2.7-fold reductions in number of potential kernels; (b) increases in asynchronous flowering; and (c) a 25% reduction in the number of spikelets differentiated by the first ear when grown under low N. Asynchronous flowering of the first ear increased because development of the ears was delayed relative to the tassel, and the relative elongation rate of silks was reduced. Treatment effects on ear growth were greater at lower ear positions. Spikelet number appeared to be related to the size of the ear, and was not influenced directly by treatments. We conclude that the processes which determine kernel number are highly sensitive to low levels of intercepted radiation or N supply. © 1991. Zea mays hybrid XL66 was grown with irrigation in sand in the field and subjected to different rates of nitrogen supply from floral initiation to anthesis and again from anthesis to maturity. Nitrogen supply during spikelet differentiation affected grain number markedly. Nitrogen supply during grain filling had a small but significant effect on the rate of grain filling and an effect on the rate of nitrogen entry to the grain, causing a 1.3-fold change in percentage grain nitrogen. Increasing the nitrogen supply produced larger plants, but the distribution of nitrogen and dry weight among plant parts were similar and the harvest indices for dry weight (0.46) and nitrogen (0.66) were the same over all nitrogen treatments. We found no evidence that shoot size per se controlled grain number or rate of grain growth; rather, fertilizer management during spikelet differentiation had most effect on yield of XL66. © 1987 CSIRO. All rights reserved. Rice (Oryza sativa L.) cultivars IR36 and IR42 were grown under upland or lowland conditions and then submerged partially or completely for 8 days at the seedling (6-leaf) stage, tiller elongation or booting. Partial or complete submergence at any of the three stages of development reduced the rate of weight gain or caused loss of weight from plant organs in the order root > stem > leaf. Submergence at all stages caused elongation of leaf sheaths and stems (as measured to the uppermost ligule); elongation occurred primarily in response to water at the base of the stem rather than at the shoot apex. IR42 elongated its leaf lamina more than IR36. IR36 maintained a greater number of tillers than IR42. Complete submergence at the tillering stage caused a small reduction (20%) in number of grains in the mainstem panicle of IR36 and a larger reduction (40%) in IR42; it had little or no effect on total grain number of IR36 whereas it reduced the total grain number of IR42. Grain number was positively correlated with change in stem weight during submergence, suggesting that grain number may have been reduced by submergence causing a carbohydrate deficiency during primordia development. Submergence increased the weight of attached dead leaves and reduced root length. Partial submergence reduced, but did not stop, the uptake of nitrogen. Concentrations of N, Mn and K tended to increase (except in leaves) during submergence, relative to 'control' plants. There were statistically significant interactions between cultivar and submergence in only 10% of analyses. Nonetheless IR36 did appear to have greater tolerance than IR42 to short-term submergence, whereas greater lamina elongation may cause IR42 to be better adapted than IR36 to prolonged, partial submergence. © 1986. Distribution of length and weight of roots of subterranean clover cultivars Northarn and Nungarin were measured in the field throughout a growing season. Plants were grown at seven populations from 2 to 1510 plants per m2 in coarse sand which had a bulk density of 1.4 g cm-3. Root growth was described by its vertical and horizontal distribution as functions of population and time after emergence. Differences in growth between cultivars were small. Root depth, which reached a maximum (plateau) at about 90 days, did not vary with plant population. Root density (length per volume of soil) increased faster at high population due to a higher density of' roots beneath the mainstream and an attenuation with distance away from the mainstem which did not appear to be affected by population. Root densities were 10 cm cm-3 in the uppermost core (0-10 cm depth) and 1.6 -3.5 cm cm-3 throughout the rooting zone (0-50 cm) at 119 days after emergence. Root death, estimated from dichlorotrianzinyl staining, was negligible. Leaf area per plant declined with population above 16 plants per m2; leaf area per unit root length (in cores beneath the mainstream) declined 90-fold with increase in population. Top weight and burr yield per plant at final harvest also declined with increasing population; burr yield per m2 also fell significantly at the highest population. It is concluded that the amount of root per unit area increases with population and that plants appear to adjust conservatively in some respects (to much lower leaf area per root length) while being unable to sustain dry matter partitioning (reducing burr/top yields) at the highest population studied. © 1985, CSIRO. All rights reserved. Lack of perception of the risks posed by climate change has been identified as a major constraint to social adaptation. Factors contributing to risk perception include experience of extreme weather events; socio-cultural factors (norms and values); knowledge of causes, impacts and responses, and socio-demographics. Qualitative data was collected from a series of participatory placed-based workshops conducted in the Greater Sydney and South East regions of New South Wales, Australia with participants drawn from a mix of 12 urban and rural communities. Workshop discussions were based on an Emergency Management Framework: Prepare, Prevent, Respond and Recover (PPRR) for the most important local climate hazards—bushfires, drought, storms, and flooding. Qualitative information from the workshops was examined for evidence of the role of risk perception in the management of natural resources for extreme climate events and the capacity of communities to adapt. Perception of risk differed among locations (urban vs. rural) and types of events, in particular bushfire and flood. Recent experience of an event, livelihood dependency on natural resources and the socio-demographic dynamics of communities were identified as factors contributing to adaptive responses to improve protection of natural resources (such as soils, water and biodiversity). This book introduces innovative approaches to pursue climate change adaptation and to support the long-term implementation of climate change policies. Governments invest in natural resource management (NRM) because of a lack or failure of markets for ecosystem services and to encourage the adoption of NRM practices that reduce the externalities of resource use (Cary et al., 2002; Beare & Newby, 2005; Stanley et al., 2005). Major global trends in NRM include a greater emphasis on community participation, decentralised activity to the regional scale, a shift from government to governance and a narrowing of the framing of environment policy to a largely utilitarian concept of NRM (Lane et al., 2009). Successive state and national governments in Australia, in actively seeking to improve the condition of Australias natural resources, established a series of funding arrangements for their protection and enhancement (reviewed by Hajkowicz, 2009; Lockwood et al., 2009). In concert with this funding has been a greater emphasis on accountability for expenditure on public environmental programs because delivery of tangible impacts through recently established regional arrangements has proved difficult to quantify (eg. Australian National Audit Office, 2008). Ruoso, L, Plant, R, Jacobs, B & Maurel, P 2016, 'Farmers' place identity and decision-making in a changing peri-urban environment: A case study of Wollondilly Shire Council, Western Sydney, Australia', 22nd International Symposium on Society and Resource Management: Transitioning: toward sustainable relationships in a different world, Houghton, USA. Ruoso, L, Plant, R, Jacobs, B & Maurel, P 2016, 'Peri-Urban Areas as Spaces of Conflicting Identities: The Role of Landscape and Place', 21st International Symposium on Society and Resource Management: Understanding and Adapting to Change, International Symposium on Society and Resource Management, Charleston, USA. At SOAC 2013, we presented on the Towards a Resilient Sydney (TARS) project, a partnership between the NSW environment and planning agencies to assess the regional vulnerability of government services to climate change and identify responses and opportunities to adapt (Lee et al 2013). Now two years later we reflect on the results of this participatory learning process, which engaged over 270 government participants, from 31 Metropolitan Local Government Areas, 37 State agencies and 7 Commonwealth agencies. We will report on how the process sought to improve resilience and minimise impacts in local communities by: building adaptive capacity; influencing decision making; and promoting collective actions. The paper explores key questions of how qualitative evidence and collective outputs are interpreted and implemented, and how strategic frameworks can account for and foster 'on ground' adaptation action. Children (8-12 years) in living cities are spending less time playing outdoors in local natural places. There is potential for place-specific, digital technology to be designed to motivate children 'off the couch' and outdoors into their local natural places. This paper presents the outcomes of three workshops conducted with eleven children (8-12 years) in Aalborg, Denmark, designed to understand key motivators for outdoor play in children. Children were divided into five design groups. Fictional inquiry and a series of artifacts and triggers were used to communicate the design task to children and inspire a range of relevant designs. The design outcomes of these workshops, the motivators for outdoor play, and potential applications for interactive digital technology to inspire more regular, outdoor play experiences in children will be discussed. Regular interactions with nature are vital for the development and wellbeing of children and also to build attachment and value for natural environments that potentially promote proenvironmental behaviour in later life. In this paper, we report on a study designed to identify opportunities for digital technology to support children's connectedness to the natural environment, thereby encouraging positive environmental attitudes in children, as well as healthy physical play. Through participatory engagement with a group of 15 Danish children (aged 812) and their parents, using focus groups and follow up interviews, we explore what motivates children to undertake everyday recreational activities, focusing on activities undertaken in nature, and how these interactions influence meaning associated with their local natural place. The contribution of this paper is a deeper understanding of what motivates children to interact with nature, and a discussion of how technology may enhance this interaction. Jacobs, B., Boronyak, L.J., Dunford, S., Kuruppu, N., Lewis, B. & Lee, C. 2014, 'Towards a resilient Sydney - supporting collective action to adapt sub national government services to regional climate change', 3rd International Conference on Climate Change and Social Issues, 3rd International Conference on Climate Change and Social Issues, International Center for Research & Development, Colombo, Sri Lanka, pp. 12-14. We report the findings of a vulnerability assessment of government service delivery to climate change for Sydney, Australia. Climate projections indicate that in addition to increases in average temperature, Sydney can expect higher incidence of extreme climate events such as heat waves, bush fires, intense low pressure weather systems leading to riverine flooding, and coastal inundation from sea level rise. We employed a participatory integrated assessment process with public sector employees representing five key sectors. Vulnerability stemmed from: lack of perception of climate risk, inadequate skills and knowledge to understand climate impacts, pressure from population growth on human settlements, insufficient consideration of climate change in strategic planning, pressure on natural resource supply and security, and an inability to direct government funding to adaptation action stemming from current political ideologies. Jacobs, B. 2013, 'Natural resource manager capacity in the Hawkesbury-Nepean Catchment, Australia', French-Australia Seminar: Complex interactions between agriculture, biodiversity, water, and urban development at the peri-urban fringe, UTS, Sydney, Australia. Jacobs, B, Boronyak, LJ, Mikhailovich, N & Muspratt, J 2013, 'Beyond birdies - enhancing biodiversity on urban golf courses', State of Australian Cities National Conference, State of Australian Cities (SOAC) Conference, State of Australian Cities Research Network, Sydney. In urban areas where public land for habitat protection is limited, golf courses can play an important role in supporting biodiversity. Out-of-play areas on golf courses present an opportunity for restoring and enhancing biodiversity in ecologically simplified landscapes. We aimed to develop a greater understanding of factors that enable or constrain the adoption of improved biodiversity practices on Sydneys golf courses. The project consisted of three stages: 1. Mapping the location of golf courses across the greater Sydney region in relation to priority conservation areas; 2. A participatory workshop with golf course superintendents and managers drawn from across the greater Sydney region. The workshop findings informed the development of a survey instrument; and, 3. A survey of golf course staff across the greater Sydney region to determine the heterogeneity of capacity to adopt improved practices for biodiversity. Critical factors were identified that constrain and support the adoption of practices to improve biodiversity conservation on golf courses. We found that the influence of constraining and enabling factors varied spatially across the region. The reasons for this variation were complex and related to the interaction of local biophysical and social context in which the club operates rather than simply to issues such as land tenure. The findings of this project provide a baseline from which to measure temporal changes in capacity resulting from targeted capacity building initiatives and related improvements in conservation outcomes. Cunningham, R & Jacobs, B UTS 2019, Insight into demand-driven research through synthesis, no. 1, University of Technology Sydney. The Adaptive Communities Node (ACN) evolved over the life of the NSW Adaptation Research Hub 2013 – 2018. This report assembles outputs from ACN projects and from research conducted to support the work program of OEH's Impacts and Adaptation Team into a cohesive set of insights on the process of adaptation research that is demand-driven and situated at the interface of government policy and operations. A network is a group or system of interconnected people or things. Social networks connect people. Those connections provide advantages to members of the network through access to private information, diverse skills and power, which makes the understanding of networks important for the formulation and communication of policy. The Adaptive Communities Node used a network analysis methodology to understand the formal and informal knowledge channels that communicate climate change adaptation policy throughout regional communities (Harman et al, 2016; Harman et al 2015a; Harman et al 2015b). The results of case studies in these communities (centred on Shoalhaven, Bega and Orange) have been published through the UTS:ISF NSW Adaptation Research Hub (https://www.uts.edu.au/research-and-teaching/our-research/institute-sus…). This primer serves as a companion document to those reports. A capacity to adapt to change is essential for managing Australia's natural resources. The individuals, communities and organisations who manage our natural resources all have an innate capacity to adapt to change. Changes in climate, markets and technology have shaped the way we adapt the management of natural resources in urban, rural and coastal landscapes. Some of these changes are predictable and easy to manage. Others are expected, but their timing and magnitude are uncertain. Whatever the future holds, this guide can be used to build our capacity to meet future change with confidence. This report contributes to the broader project of the Science-Policy-Community Theme within the Adaptive Communities Node of the NSW OEH Adaptation Research Hub. The main objective of the project is to understand the interaction between the formal and informal networks within different communities, with a view towards developing a range of targeted options for policy makers to engage more effectively with local communities in relation to climate change adaptation. The report presents findings from 24 interviews conducted between March and April 2014 in the Shoalhaven region of New South Wales. Jacobs, B, Boronyak, L & Mikhailovich, N Institute for Sustainable Futures, UTS 2014, Enabling Adaptation in the Australian Capital Territory, pp. 1-57, Sydney, Australia. This report presents a synthesis of the findings from two participatory workshops conducted as part of the Enabling Adaptation in the Australian Capital Territory (EnAACT) project. The aim of EnAACT is to build a shared understanding of the Australian Capital Territory's (ACT) vulnerability to climate change and to catalyse adaptation through responses that are sensitive to the reality of regional systems. The workshops were conducted in September 2014 with 71 representatives drawn from the six Policy Directorates of the ACT Government. The information gathered from the consultation will inform ACT Government policy to enable adaptation to climate change in the ACT and the broader South East region of NSW. The EnAACT project considers climate change impacts and adaptation to the year 2060, with the major focus on actions that are required within the timeframes of the ACT's Climate Adaptation Strategy. This report synthesises the process and outcomes of each of the activities conducted during the workshops and is intended to provide an information base to identify responses and opportunities that assist ACT Directorates to enhance resilience and realise transformations in which the impacts of climate risks for the ACT are minimised. Climate adaptation and risk dataset are powerful and effective to assist decision makers.